The early summer has come and it spoils us with wonderful heat. Time to spend more time outside, especially after a long day at work. We kick off our shoes, wiggle our toes, set up our parasol and enjoy the cooling afternoon air with a nice glass of wine… or heroically perfect our bombing technique in the open air bath. Early summer also is the time for the first strawberries that bring the first long-awaited red into our kitchens. I usually long so much for these first, »real« strawberries, that I can’t keep myself from eating one or two, right after buying them and go straight back to buy a second box. 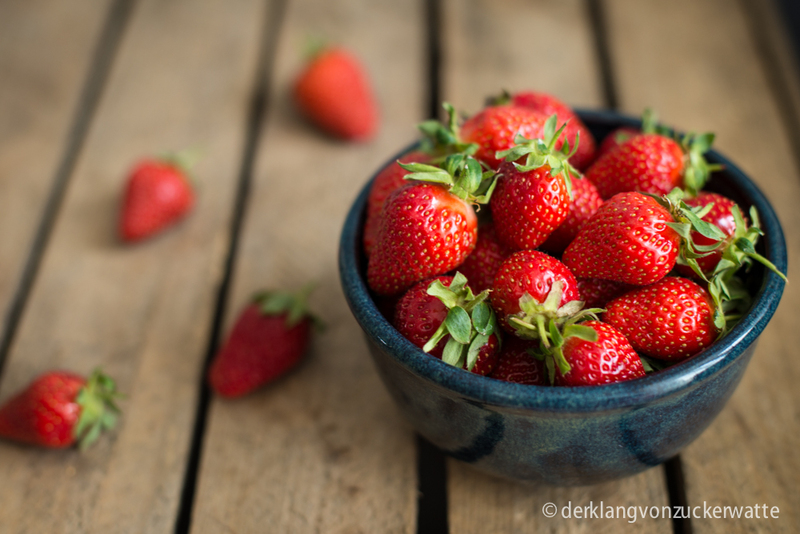 Strawberries are best when eaten raw anyway, with their delicate and fragile fragrant and taste, that is spoiled very quickly when cooked to much or combined with to many and strong ingredients. For me the best counterpart for strawberries will always be fresh organic cream, that leaves a heavy cream after resting a while in the fridge. This two-textured cream, quickly mixed with slightly crushed strawberries is a dream come true – especially on a hot summer’s day. And it makes up for the long time we had to wait for this first bowl of fresh strawberries this year! Clean the strawberries under running water, cut off the green and crush them a little bit with a fork. You may not want them to become a puree – just crush them until you have a lot of big and a few small strawberry pieces and a bit of fruit juice. Add the vinegar and mix them together. 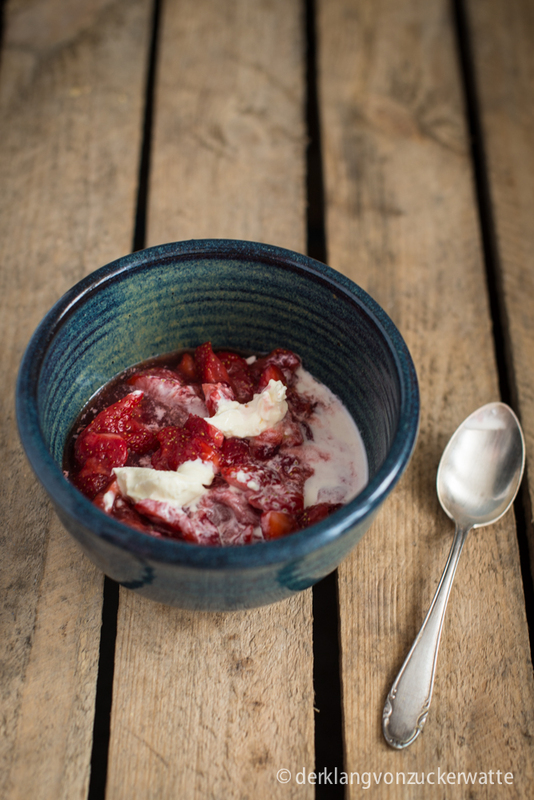 Put the strawberries in a bowl and pour over as much fresh cream as you like, mixing it just a tiny bit before eating.